Price: Rs. 1200/- Please Call for availability before you book any Event/Trek, to avoid 5% Transaction Charges. 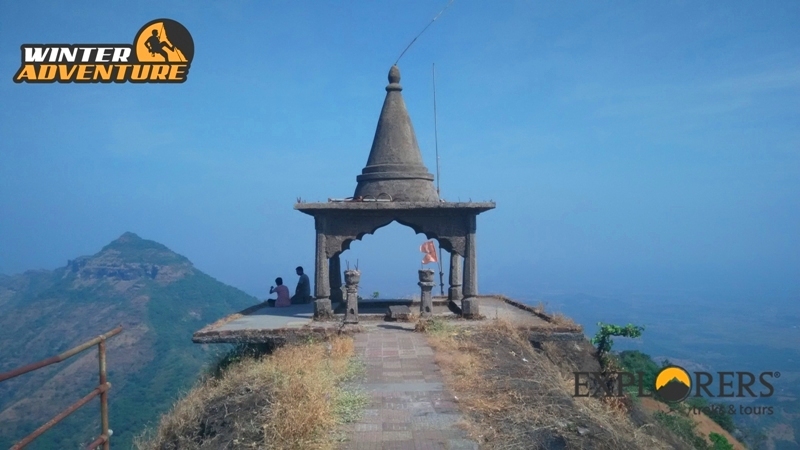 Peb fort derives its name from the Goddess ‘Pebi’; Peb fort is also called ‘Vikatgad’ for its supposed shape of the Elephant Headed God, ‘Ganesh’. 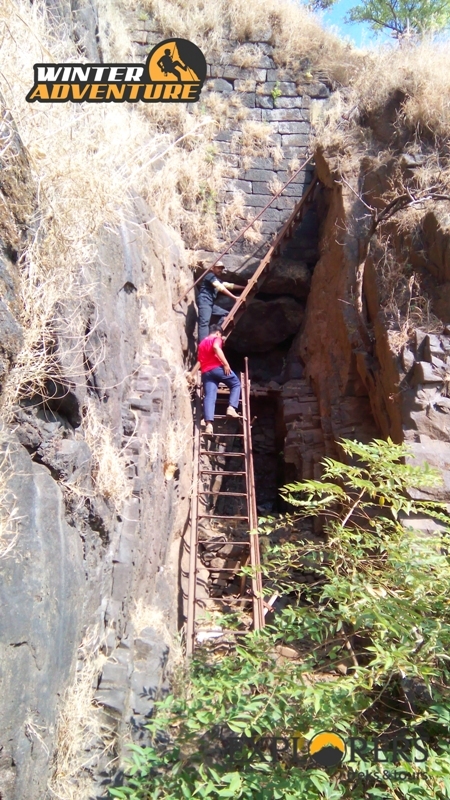 The trek to the top of Peb fort involves surmounting a small rock patch and a ladder. 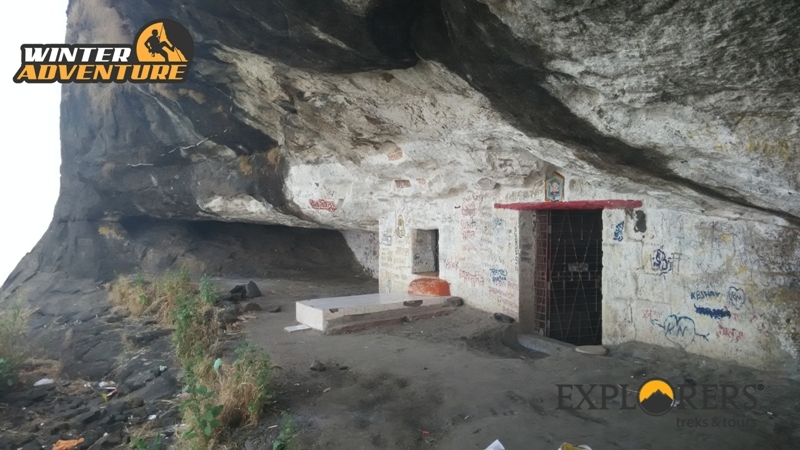 Peb fort is famous for its caves which are maintained by disciples of Swami Samartha and the meditation chambers carved out from the rock inside the mountain. To get inside the meditation chamber, one has to crawl through a narrow passage in the rock and then climb down into the meditation chamber. The chamber is very well maintained with tiles on the floor for ppl to sit and meditate. 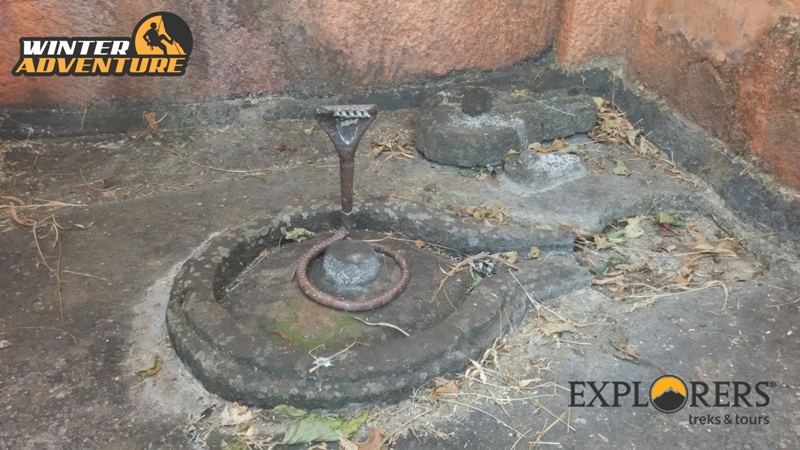 Peb fort also has a temple dedicated to Swami Samartha on the top and has the footwear or ‘Padukas’ worn by the great saint kept on the top. 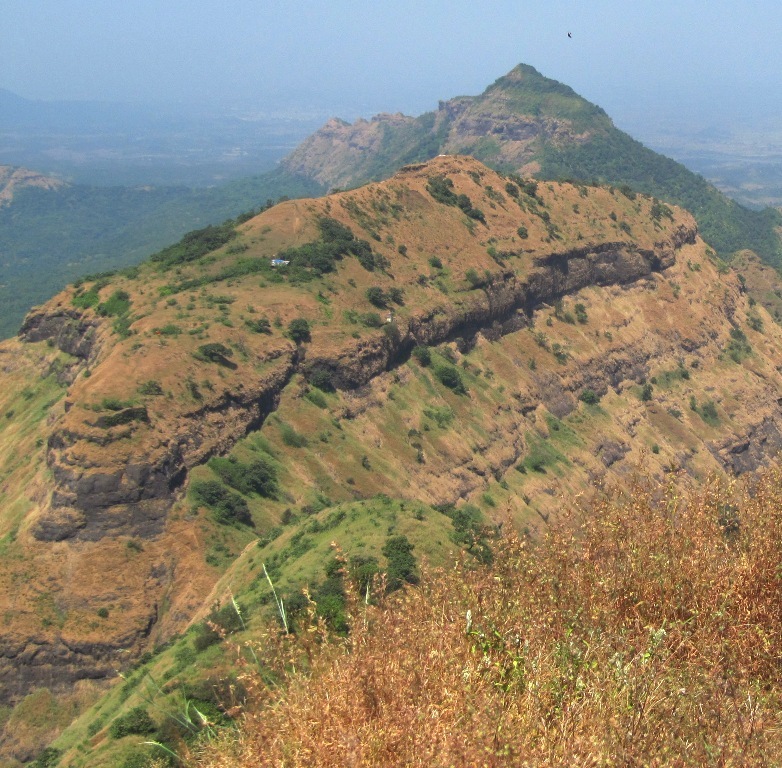 The view of the entire Neral and Karjat region from the top is worth the climb. 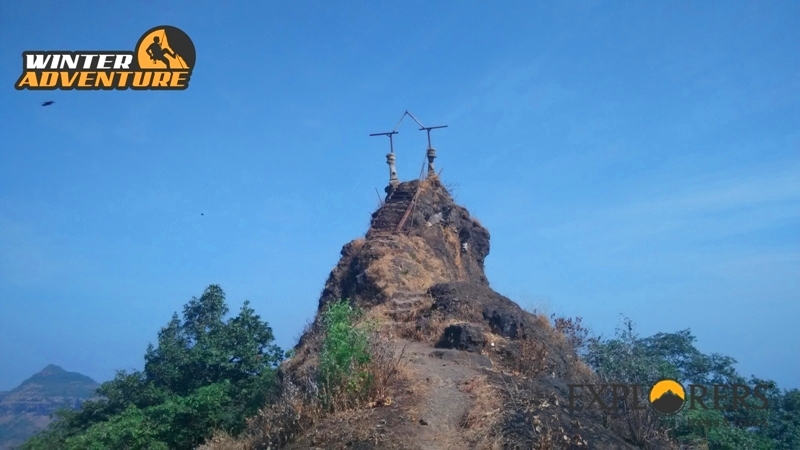 Another attraction of the Peb fort trek is the only standing Bastion or Buruj facing the Panorama point of Matheran, the view from here is just too beautiful to describe. Please Call for Availability before you book Peb Fort Trek, to avoid 5% Transaction Charges. 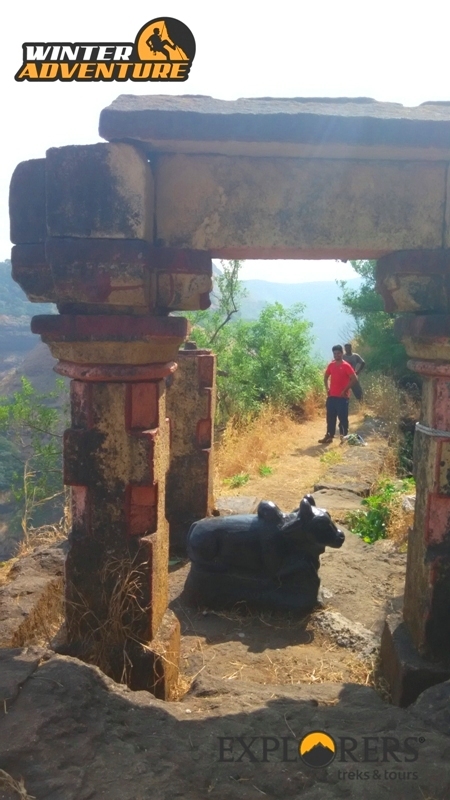 Last date of Registration for Peb Fort Trek: 28 February 2019 or till seats left. 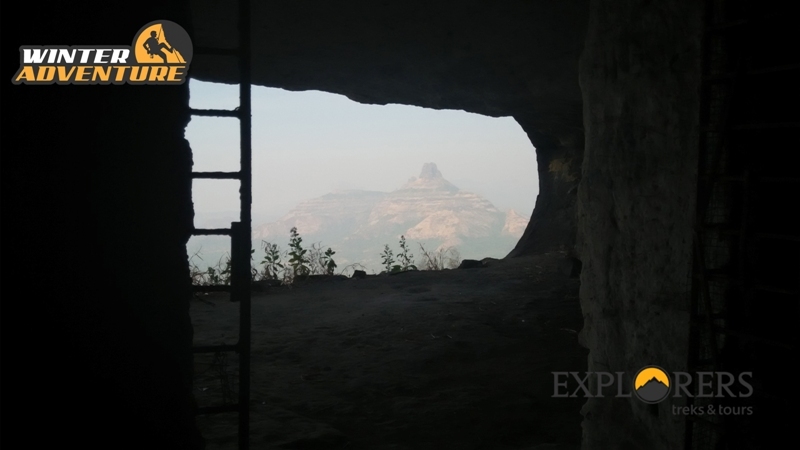 Departure Date & Time for Peb Fort Trek: 03 March by sharp 05.30 am, from sp collage, Tilak road. Arrival Date & Time for Peb Fort Trek: 03 March by 8.30 pm, at sp collage, Tilak road. Meeting Time and Place for Peb Fort Trek: 03 March by sharp 05.00 am, at sp collage Tilak road. 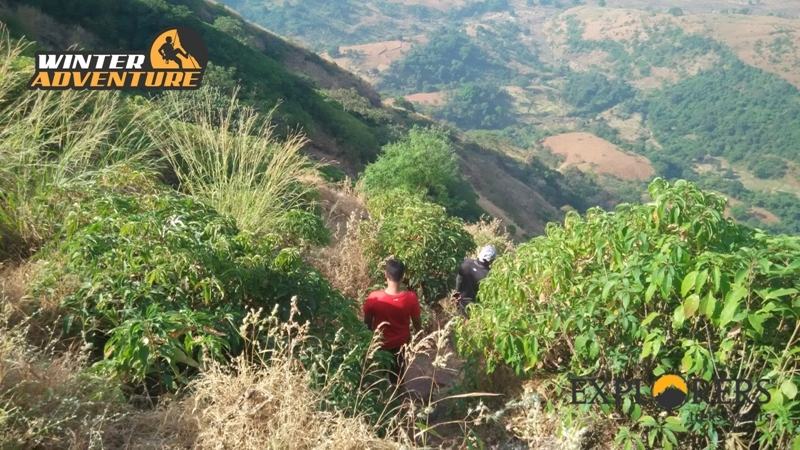 Walking Time (estimated) for Peb Fort Trek: 2.5 hours to reach the Top. Batch Limit of for Peb Fort Trek: 30 Participants only. 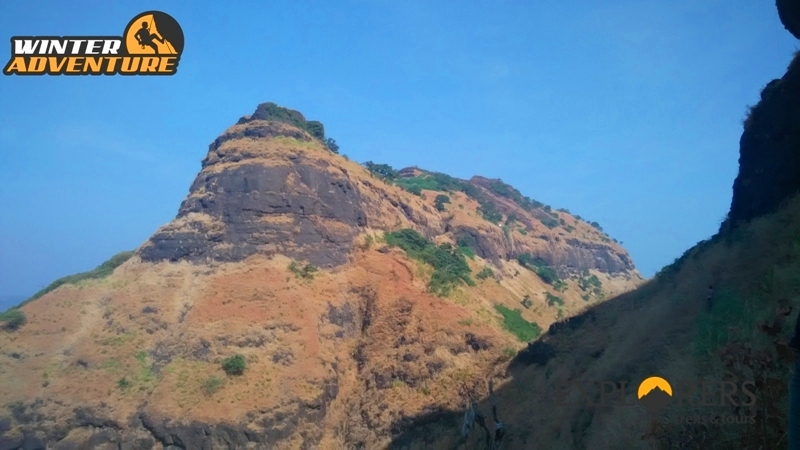 Mode of Transport for Peb Fort Trek: Pune to Neral by bus & Neral to Matheran by Private car. 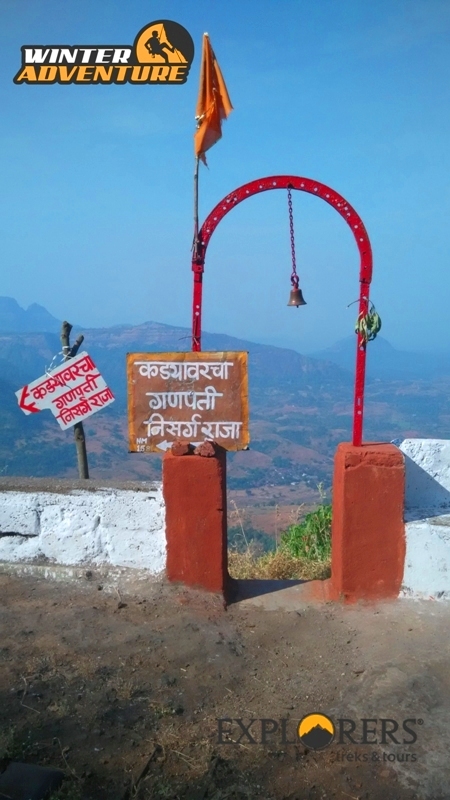 Route: Pune – Paud Road – Chandani Chowk – Khopoli – Karjat – Neral. Gather at S. P. College Tilak Road. Give attendance to Team Explorers. After attendance Depart for Peb fort. Tea & Breakfast on the way. Reach Neral. Depart by local car towards Water Pipe Railway Station. 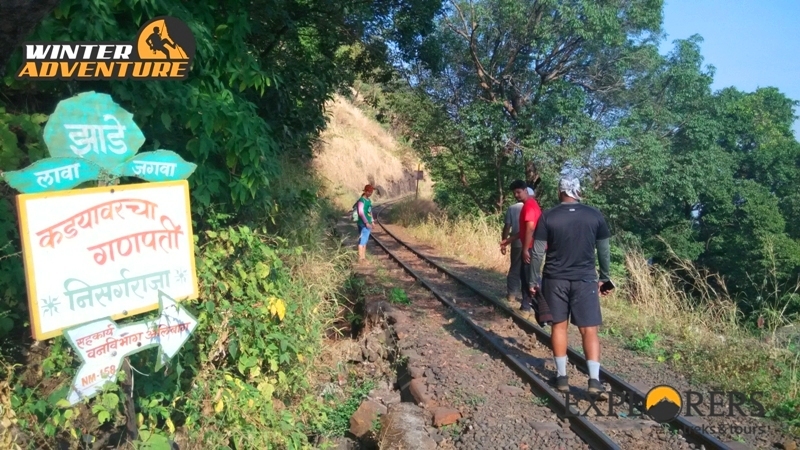 After Briefing Start trek towards Peb fort. Collect the pack lunch from Leader. Toilets are not available throughout the Trek. Reach top of Peb fort. 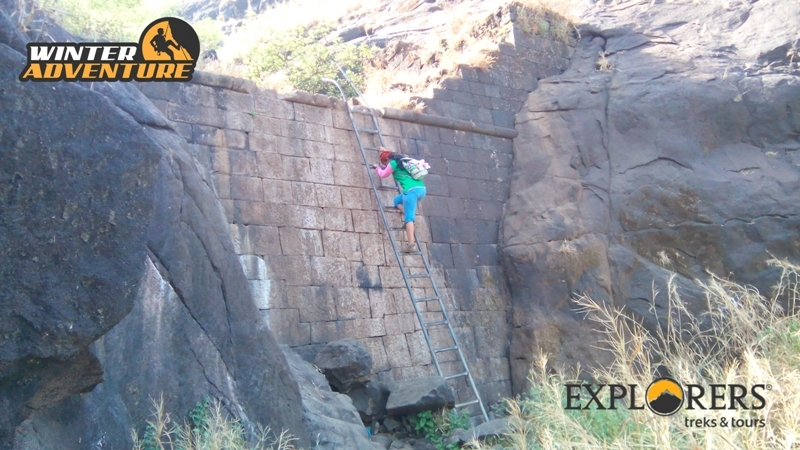 Explore the Peb fort. Start Descending to the Peb fort. Reach at Water Pipe Railway Station & depart for neral by Local car. Start return journey from neral towards Pune with happy memories. Evening Tea on the way. Reach SP College, Tilak Road via same route. Transportation by Non AC Private Vehicle (Pune – Neral – Pune). Transportation by Non AC Local Taxi (Neral – Matheran – Neral). Trekking with all safety measures. Morning Tea, Breakfast, Packed Lunch, Evening Tea. Adventure Experts & Leaders of Explorers. Cold drinks, Mineral water, Energy Drinks, etc. A Good Quality of Rucksack with all inside luggage packed in a plastic bag. Schedule must be strictly to be followed by the Participants.